Tuning your car is a great way to improve the look and feel. Before making any decision on tuning make sure that you’re in possession of all the facts and that the tune is right for your personal requirements. Sport Springs, also known as lowering springs, are a vital consideration for any supercar owner – especially if it’s a recent purchase. Why? Take a close look at the cars press photo, now look at your car. Notice anything different? Doesn’t look quite as sporty as the picture does it. This is because the ride height and suspension geometry will often be different to the original design, and wishes of the engineers. The reason behind this decision is actually quite simple. As manufacturers increase their sales in emerging markets there is a need to factor in the knowledge that cars will be driven on poor quality road surfaces. In certain markets the manufacturer also needs to accommodate the higher average weight of the owners. This is a case of practicality over aesthetics, but with good reason; nobody wants their cars underbody, or chin, scraping the road. However, if you predominantly drive in a country with good quality roads you’ll want make sure your car looks and drives as intended, and that’s where lowering springs come in. 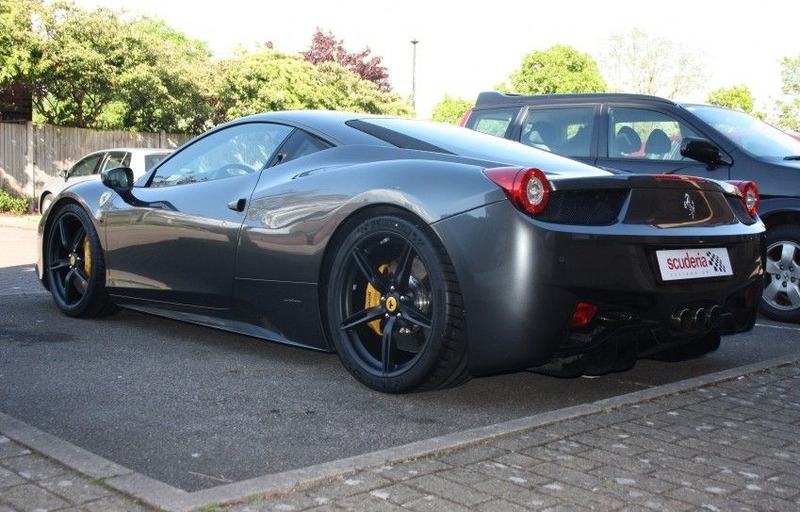 Fitting sport springs and returning your car to its optimum height is a relatively small tune, with huge benefits. Not only will your car look sportier you’ll experience an improved road stance through improved handling. Reducing the car’s height will in-turn increase the aerodynamic effects of its shape, in particular the rear diffuser, making the car more stable at high speeds compared to its taller relative. Lowering the cars centre of gravity will give a more dynamic response to your input, meaning changes of direction become sharper and you feel more in control of the cars steering. When a car has sport springs installed, the cars tendency to squat and dive under braking will be reduced – nobody wants to scrape their underside. You’ll also witness improved body control as the car will roll less when cornering. All springs have an associated stiffness and the impact on comfort is quite simple. The stiffer a spring, the harder the ride and the softer the spring, the more comfortable the ride. 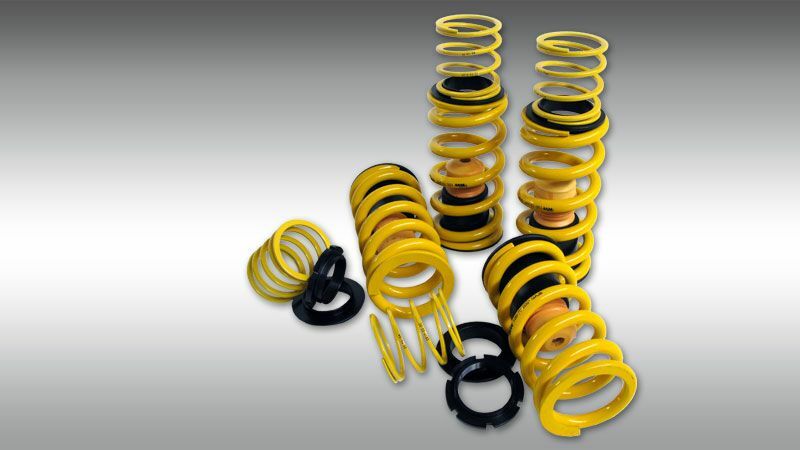 Reversely, a stiffer spring will more responsive to your input than a softer spring. Can’t I just lower the car on its factory fitted springs? High performance cars can be lowered on their factory installed springs, however it’s not a recommended approach. This is because standard springs are too soft to keep the underbody and chin of the car off the ground at the reduced height. Sport springs stocked at Scuderia are all generally variable rate springs, which work with the original dampers and leave the ride comfort and, if you drive a Ferrari, the ‘manettino’ operation unchanged. This effectively means they’re no stiffer than a standard spring until the car is driven at speed; when you actually need a stiff ride. At speed the stiffer portion of the spring activates offering handling advantages not experienced with a standard lowering. Novitec are a great brand for anyone interested in sport springs and can be installed on Ferrari, Lamborghini, Maserati, McLaren, and Rolls Royce by Scuderia.